One of the challenges we face when trying to look at the ‘big picture’ is how to relate the different monitoring programs to one another to answer those questions. We can find correlations in the data, but it is difficult to make definitive statements from those relationships alone. 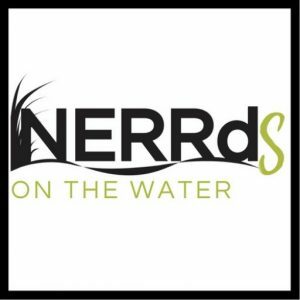 The NERRS has developed the Sentinel Site Application Module 1, or SSAM-1 for short, to directly link the data collected from the water quality and salt marsh monitoring programs. When fully implemented, SSAM-1 uses the water quality monitoring instruments to track water levels and pairs them with data on vegetation species shifts and sediment elevation change over time at the nearby salt marsh monitoring stations. By linking these two data sets we can evaluate how the marsh is responding to changing water levels. Cool, right? NERRS Sentinel Site Infrastructure diagram taken from the NOAA Office for Coastal Management Sentinel Site guidance document. The marsh cannot keep up with rising water levels and the marsh will drown- a complete loss of the habitat. The SSAM-1 program will help researchers better evaluate which of those three scenarios is likely to occur at a local/regional scale. This information is extremely important for citizens, land managers, and governments to make informed decisions when planning for the future. Here at the GTM Research Reserve, we plan to implement the SSAM-1 at two locations- one in the northern component and one in the southern component of the reserve. We will be chronicling our journey through the SSAM-1 implementation process, so stay tuned for more! Next Post The sessile oyster has footprints?